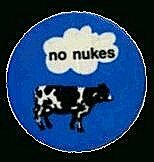 Still here after all these years, still advocating a nuclear free world. Without which, what is the point? The Private Fuel Storage proposed nuke dump in Utah was scratched! We still haven’t blown the whole planet sky-high. Not that there aren’t some still working on that. The struggle to prevent the re-licensing of Prairie Island hasn’t been successful yet. Remember, we have a little instructional video about Prairie Island, showing you the how’s of nuclear reactor operation, at Good Nukes: Almost Good Enough. Many of our friends are still working hard on the resistance front. here in town we are commemorating that, as usual; at Stratcom, Frank and Jerry are helping to commemorate that, as usual. we welcome the Omaha Catholic Worker here, having made its debut on the web not very long ago. Nukewatch and the Nuclear Resister are both keeping up with their very fine antinuclear and antiwar reporting jobs; the big web enhancement for both of these truth telling rags has been the .pdf format. Now it is so easy to publish their newsletters as intended, with almost no extra web work. Bonnie has taken over the maintenance at Nukewatch, and has even created her own website for her art, at bonnieurfer.net. In 2004, Israeli nuclear whistleblower Mordechai Vanunu was finally released from Ashkelon Prison in Israel, but not to freedom. He still remains under virtual house arrest in Palestinian East Jerusalem. His old U.S. Campaign website folded, since he is now ‘free’, sort of, and can fend for himself; we continue to support his web work at vanunu.com. He has recently been sentenced to six more months in prison, for the crime of ‘talking to foreigners.’ It is unclear when his sentence will have to begin. I was able to go visit Jerusalem in November 2004, and wrote down these notes about the trip. On the antiwar front, we continue to vigil in La Crosse regularly. This is the website piece that needs updating next. Stay tuned. Vigil for Peace, in Madison, is flourishing, and has moved to the website care and management of Gene Schubert. At the moment we don't have the website address but when we do, we'll share it with you. We are so happy to see them do so well! a whole antiwar book – about resistance life in Germany during World War II – just for the fun of it. We call it Little Fireworks. These in addition to our other archived sites, the ones for Nukewatch and the Des Moines Catholic Worker, in memoriam for Sam Day, and for the defunct publication Nonviolent Incites. HAPPY MOTHER'S DAY ALL YOU MOMS OUT THERE!! I spoke with my own mummy this morning, and we noted that I would not need to be going up to ELF for Mother's Day this year, therefore I would be able to call her. WE DID NOT BOMB IRAN IN 2008. Thanks to ALL of you out there for this amazing victory. Let's party as though we had prevented a huge horrible disaster (which we did). So far so good! The archives to the US Campaign to Free Mordechai Vanunu got swallowed somehow into Internet oblivion, so just today we put them back into place, if you want to peruse through some old archives. Over 1000 articles, hundreds of pictures. Particularly touching are the galleries from the day he was freed (sort of), others of days like in 2001 when groups all round the world lobbied for his release, and some of the postcards that Vanunu supporters sent to him during his very long time in prison. He remains in legal limbo as the Israeli government once again has refused to let him go, as of last month, the fifth anniversary of his 'house arrest' in East Jerusalem. Gideon Spiro just issued an impassioned OPEN LETTER TO BARACK OBAMA calling for a NUCLEAR FREE MIDDLE EAST, and it is just so good we have to link to it here. P.S. Meet us in Federal District Court in Madison WI on June 3 2009, as we call on Magistrate Stephen Crocker to help us end the unholy and radioactive war on Iraq/Afghanistan at least. Just before World War II, the only source of concentrated radioactivity was radium. The entire amount in the world came to a total of 1000 curies. Today a single nuclear power reactor can contain radioactive materials equal to 20 billion curies of radium. That's right: 20,000,000,000. And there are hundreds of nuclear reactors, and there are thousands and thousands of weapons, and there are thousands of tons of radioactive waste with nowhere to go. All this in about 60 years' time. Martin Luther King Jr. once said that our choice was between nonviolence and nonexistence. 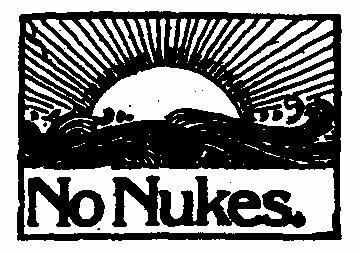 That's as true as it ever was; but now the choice is also between no nukes and no existence. What happens from here on out depends as much on you and me as on anyone in the world.